Boris Johnson plans to visit Iran in the wake of a blunder which could lengthen the sentence of a British woman imprisoned in the country. Nazanin Zaghari-Ratcliffe has been jailed in Iran since April last year, and her husband has called on Mr Johnson to correct remarks he made last week after Iran's regime used the Foreign Secretary's words as justification for continuing to detain the charity worker.On Tuesday, Mr Johnson spoke with Iran's foreign minister Javid Zarif as he attempted to deal with the fallout from a row sparked by his comments to a parliamentary committee.He also informed Mr Zarif he intends to visit Iran before the end of the year to discuss the case further, in a trip where he hopes to visit Mrs Zaghari-Ratcliffe in prison. Mr Johnson "reiterated his anxiety about the continued suffering of Mrs Zaghari-Ratcliffe and her family and hoped a resolution would be reached soon", a Foreign Office spokesperson said. "The Foreign Secretary expressed concern that his remarks to the Foreign Affairs Committee were claimed by the Iranian Judiciary High Council for Human Rights to have shed new light on the case," they added. "The Foreign Secretary said this was absolutely not the case. "It was clear as it had always been that Mrs Zaghari-Ratcliffe had been in Iran on holiday when she was arrested. "The point he was making was that he condemned the Iranian view that training journalists was a crime, not that he believed that Mrs Zaghari-Ratcliffe had been engaging in such activity. "The Foreign Secretary concluded by emphasising that his remarks formed no justified basis for further action in this case and urged the Iranians to urgently release Mrs Zaghari-Ratcliffe on humanitarian grounds. "Mr Zarif was said to have told Mr Johnson developments in the British-Iranian national's case were unrelated to his comments and that he is committed to working with the UK Government on finding a resolution.Mr Johnson was said to have accepted his remarks to the committee could have been clearer. 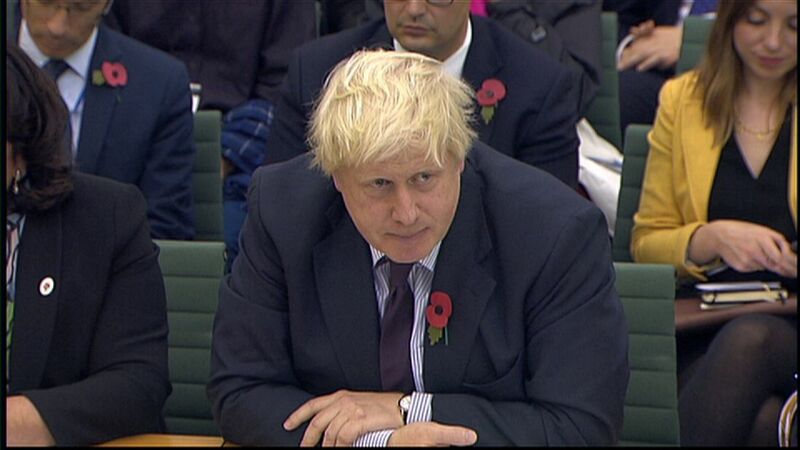 Last week, Mr Johnson told the House of Commons' Foreign Affairs Committee: "When I look at what Nazanin Zaghari-Ratcliffe was doing, she was simply teaching people journalism, as I understand it. 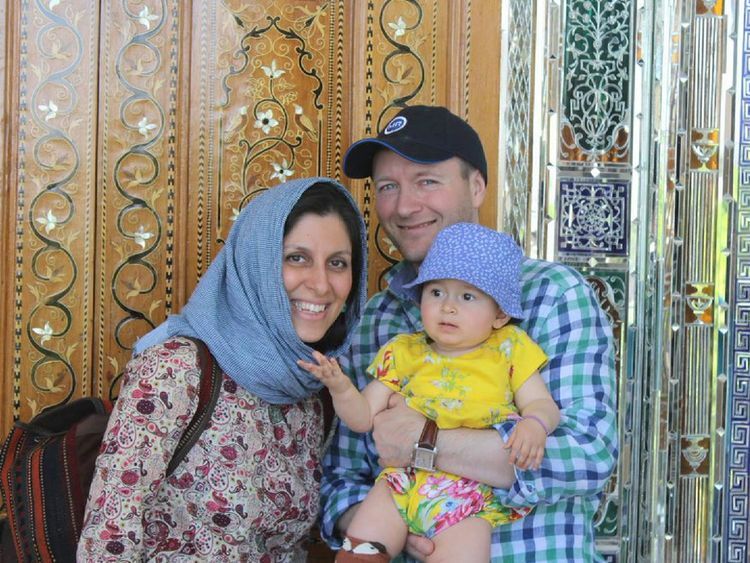 "Both her husband, Richard Ratcliffe, and her employers, the Thomson Reuters Foundation, strongly dispute this, saying Mrs Zaghari-Ratcliffe was in the country on holiday with her young daughter.Three days after Mr Johnson's comments, the 38-year-old was hit with fresh charges of spreading propaganda against the country's regime, which could double her sentence. She was initially arrested as she attempted to return to London in 2016 on accusations of plotting to overthrow the Iranian regime.The row has led to calls for Mr Johnson to consider his position should Mrs Zaghari-Ratcliffe have her sentenced increased.Former Conservative minister Anna Soubry branded the Foreign Secretary's actions "appalling", adding: "In 'normal' times Boris Johnson would have been sacked long ago. 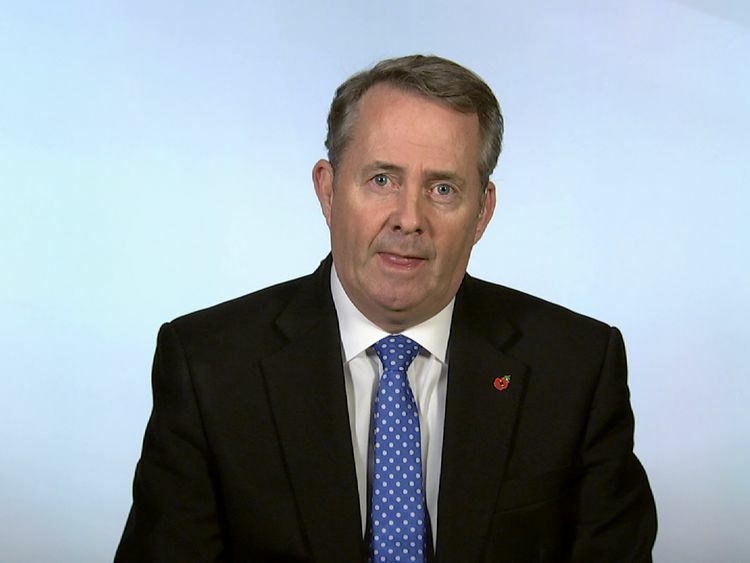 "Labour's shadow health secretary Jon Ashworth told Sky News the row over Mr Johnson's comments, and another controversy involving International Development Secretary Priti Patel, had left the Prime Minister "humiliated".But Liam Fox, the International Trade Secretary, dismissed the criticism as a plot to discredit his Cabinet colleague.Asked whether Mr Johnson should be sacked over the controversy, Dr Fox told Sky News: "I don't believe it is a serious gaffe. "I think people in the Iranian regime, which is a very brutal regime, are using this as an excuse to hold a UK citizen in the most tenuous, if not illegal, circumstances." In his defence of the Foreign Secretary, Dr Fox also urged caution amid the backlash at Mr Johnson's actions.He added: "I think what we're seeing here is an attempt to discredit the Foreign Secretary without thinking, first of all, what the impact may be and what excuses it may give to the Iranian regime to act improperly. "We always have to be very circumspect about what we say in a free society about the implications it may have elsewhere. "Downing Street also voiced support for Mr Johnson, with Theresa May's official spokesman saying the Prime Minister thinks her Foreign Secretary is "doing a good job representing Britain's interests abroad".Mr Ratcliffe, whose daughter has not been allowed to return to the UK while her mother is in jail, has also suggested the Foreign Secretary should visit his wife in Tehran.Mr Johnson is expected to appear in Parliament later on Tuesday.